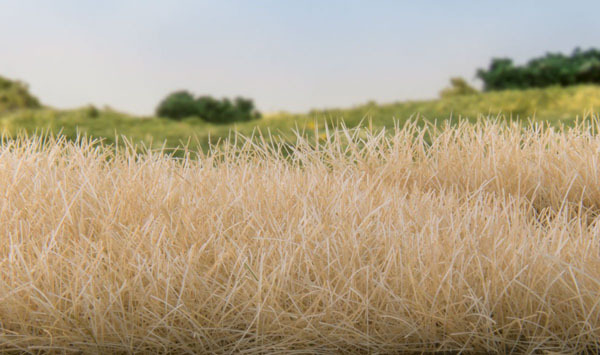 4MM STRAW STATIC GRASS - NEW Woodland Scenic's static grass stands upright when it is applied with their Static King™. Use Static Grass to model fields and other tall grasses. Blend multiple lengths and colors of Static Grass to replicate all phases of growth. 7mm Straw Static Grass shown for best color comparison.